Bark in the Park is planned for Saturday, May 4, 2019 from 11am to 3pm at Conejo Creek Park North, 1379 E. Janss Road (behind the Thousand Oaks Library). Special activities include a dog costume contest, as well as a big and littlest dog contest; small dog races, dog entertainers, celebrity dogs, a dog agility course, a dog cool off zone-water area, and at least 50 exhibits and vendors with dog-specific goods & services and apparel. There will also be lots of dogs who would love to find a new home on-hand. The Grilled Cheese Truck, Hot Diggity Dog, and Kona Ice will be available for food purchase. For more details, visit crpd.org/events/bark_in_the_park.asp or call 805.375.1003. The City of Malibu, in conjunction with RM Sotheby’s, invites you to Malibu Cars and Coffee. Southern California's top car enthusiasts will enjoy a beautiful drive down the coast to meet at Malibu Bluffs Park, 24250 Pacific Coast Highway, from 7am to 9am. Enjoy a cup of coffee at "Malibu Cars and Coffee" while admiring some of the world's finest automobiles at an unbeatable location with gorgeous views of Malibu's coastline. Cars will arrive and be available for viewing at 7 am. Visit www.malibucarsandcoffee.com for more information. Inclement weather can cancel event. 2nd and 4th Sunday of the month. The Coachmen present Cruise Night on Saturdays in Old Town Simi at 2196 Tapo Street, from 4-8PM on the following nights in 2019: Apr 6, May 4, June 1, July 6, Aug 3, Sept 7, Oct 5 and Nov 2. Free admission. The Conejo Orchid Society will hold its annual Orchid Show and Sale at the Thousand Oaks Library, May 24-26, 2019. This free event will be an opportunity to learn about orchids and the Conejo Orchid Society. Shop for some great bargains and try your hand at growing some of the most beautiful and unusual plants in the world. The hours of the Orchid Show and Sale are Friday, May 24 – noon to 6 pm, Saturday, May 24 - 10 am to 5 pm, and Sunday, May 26 – noon to 3 pm. Arrive early for the best selection. Admission is free. The Thousand Oaks Library is located at 1401 E. Janss Road, Thousand Oaks. This event includes an exhibit of members’ orchids, and a wide range of inexpensive, easy-to-grow orchids for sale. Orchids for sale include larger selection of beautiful but inexpensive orchids for the beginner as well as the experienced grower. Companion plants including tillandsias and succulents grown by members will also be on sale. 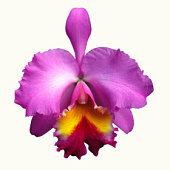 All are invited to bring orchid questions we will provide free and friendly answers. Pancake Breakfast $5.00/person at Borchard Community Center, 190 Reino Road, Newbury Park, from 8:00-11:00am, 805/381-2791 ALL YOU CAN EAT! Home Run Derby, Borchard Community Center: $5.00, 8:30-10:30am, 805/495-4674 (for men and women 16+ and men's masters 40+) Each batter is given 10 outs. A home run is a fair ball hit over the fence. How many can you smash out? Plaques awarded to top finishers. This is an excellent time for families to enjoy park facilities, watch some awesome hitters and compete! Concert in the Park at Conejo Community Park, 1175 Hendrix Avenue at 5pm - Southern California’s premier high-energy, contemporary country band, Gold Rush Country combines the showmanship of a classic rock act with the heart and soul of today’s top 40 country hits. The band has appeared in concert with Grammy Award-winners Little Big Town and Kacey Musgraves, Kixx Brooks (Brooks & Dunn), Eddie Money, and Justin Moore. With female and male lead vocals, a driving rhythm section, seamless vocal harmonies, and virtuoso instrumentalists, Gold Rush Country gets people’s feet tapping & two-stepping! Featuring both country favorites and patriotic tunes, the concert includes Florida Georgia Line’s “Cruise,” Jason Aldean’s “Just Getting’ Started,” Carrie Underwood’s “Two Black Cadillacs,” Little Big Town’s “Pontoon,” and Billy Currington’s “That’s How Country Boys Roll,” among others. 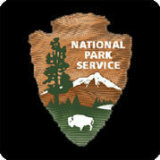 Free events and programs at Santa Monica Mountains National Recreation Area locations in Ventura County and adjacent areas are highlighted below! (updated periodically to remove past activities). For additional details and other event locations, visit samofund.org/calendar. Most activities subject to cancellation if there's significant rain. Sat 4/28, 5/25, 6/30, 10/26, 11/24, 12/28 - Welcome Walk at Malibu Creek State Park 10am to 12:30pm - Join a docent for a refreshing walk along Malibu Creek, through a wooded valley. Learn about fire restoration, plus the park’s animals, plants, early inhabitants, and movies filmed on location. Meet at the Main Trailhead parking lot (second, lower lot) by the restrooms. Sun 4/21, 5/19, 6/16, 7/21, 8/18, 9/15, 10/20, 11/17, 12/15, 1/19/20, 2/16, 3/15, 4/19, 5/17, 6/21, 7/19 8am to 11:30am - San Fernando Valley Audubon Bird Walk at Malibu Creek State Park - Considered the recreational crown jewel of the Santa Monica Mountains, Malibu Creek State Park has over 8,000 acres of rolling tall grass plains, oak savannahs and dramatic peaks. It’s no wonder many call it “The Yosemite of Southern California.” Seasoned birders and beginners alike will enjoy good bird watching and a beautiful, easy hike. Meet at the second (lower) day-use parking lot. Entrance to the park is on the west side of Las Virgenes Rd., just south of Mulholland Hwy. Entrance fee is $12 per car. Sat 4/13 10am to noon - “Around the World” Hike at Paramount Ranch - The landscapes of Paramount Ranch have served as world-wide movie locations from Africa, to the Far East and 17th century New England. Hike along with a park volunteer and movie historian to where long ago movie sets once stood. This is an easy paced moderate hike of up to 2 miles. Wear appropriate shoes. Rain cancels. Sun 4/21 10am and 1pm - Native Plant Presentation at Rancho Sierra Vista/Satwiwa - Two cultural plant presentations available. No reservations required. Interested in how indigenous cultures used plants medicinally and culturally? Kumeyaay ethnobotanist Richard Bugbee presents a discussion on indigenous uses for local native plants. First presentation begins at 10am. The second presentation will begin at 1pm. Sun 4/21 and 5/18 8:45am to 1pm - Stop and Smell the Roses at Malibu Creek State Park - Tom has been leading spring hikes for years and they’re a great, fun way to explore one of L.A.’s most spectacular parks, Malibu Creek State Park. You’ll learn about the animals, plants and flowers that fill our parkland. SOUTHEAST HIKE – From the Main Trailhead parking lot, we’ll ride to Tapia Park, then hike the Tapia Spur Trail, the Ann Skager Trail and the meadow beyond, Mott Road, the Chaparral Trail to the Visitor Center and return. Each hike is between 3.5-4.5 hours, depending on the pace of the group. Meet in the Main Trailhead parking lot (second, lower lot) at 8:45 a.m. Wear sturdy hiking shoes, bring 2 quarts of water, lunch or snacks, a wide brimmed hat and sun screen. Rain cancels. PLEASE RSVP by the Thursday before the hike. Contact Tom at 818-216-7696 or tgkaplan54@gmail.com and be sure to leave your phone number. Sat 4/27 10-11am - World Tai Chi and Qigong Day at Santa Monica Mountains Visitor Center - Tai Chi and Qigong are moving forms of meditation and an excellent way to reduce stress, develop strength, balance and flexibility. Celebrate WTCQD by participating in these arts with others in the outdoors! No experience necessary. Loose fitting clothes recommended. Tue 4/30 and Tue 6/25 8:30am - Five Mile Hike at King Gillette Ranch - Moderately paced 5 mile, 600 ft elevation gain hike around our recent acquisition to the Santa Monica Parklands, now HQ for the SMM NPS. Beautiful valley and coast live oak savanna, grasslands, coastal sage scrub, etc., as well as manicured grounds around the original Gillette Mansion. Meet 8:30 AM in fee parking lot of Ranch. From 101 Ventura Fwy take Las Virgenes Rd/Malibu Canyon exit, go south approx. 5 ¾ miles to Mulholland Hwy. Turn left on Mulholland and then right to enter the long eucalyptus alleé driveway for Ranch. Park in second lot. Bring water, snack, lugsoles, hat, sunscreen. Rain cancels. Sat 5/4, 6/1, 7/6, 8/3, 9/7, 10/5, 11/2, 12/7, 1/4/20, 2/1 8:30-10am - Birds of the Santa Monica Mountains Walk at King Gillette Ranch - Bring your binoculars, bird guide, and/or camera and join us for an easy bird walk around the grounds of King Gillette Ranch. This area attracts many songbirds, water birds, woodpeckers, and raptors and we are always treated to something interesting. Kids are welcome and the walk is less than a mile at a very easy pace as we stop often to observe the birds. We leave promptly at 8:30 from the flagpole. Heavy rain cancels (but I will be there for anyone who wants to walk in it!). See you there! Sun 5/5 10am and 1pm - Animal Spirit Necklace Workshop at Rancho Sierra Vista/Satwiwa - Two workshops available! No reservations required. Discover your Satwiwa spirit with Tongva artist Julia Bogany, where you will learn to make a Tongva animal spirit necklace. Materials will be provided. All ages welcome. Cheeseboro/Palo Comado Canyons: Ventura Fwy (101) to Chesebro Rd exit. Turn north on Palo Comado Canyon Rd then right on Chesebro Rd. Go north 1 mile to park entrance. Turn right and follow road to parking lot. Circle X Ranch: Pacific Coast Hwy to Yerba Buena Rd. Turn inland; go 5.4 miles to Circle X Ranch contact station. Sandstone Peak Trailhead: 1 mile north of Circle X Ranch contact station on Yerba Buena Rd. Parking lot is on left. Mishe Mokwa Trailhead: 1.75 miles north of the Circle X contact station along Yerba Buena Road. Parking lot is on right. King Gillette Ranch: Ventura Fwy (101) Exit Las Virgenes Rd. Go 3 miles south on Las Virgenes Rd to Mulholland Hwy intersection (traffic light). Turn left on Mulholland Hwy. Park entrance is 0.1 mile on right. Malibu Creek State Park: Ventura Fwy (101) Exit Las Virgenes Rd. Go 3 miles south on Las Virgenes Rd to Mulholland Hwy intersection (traffic light). Park entrance is 0.25 mile south of the intersection on Las Virgenes Rd. From Pacific Coast Hwy: north on Malibu Canyon Rd to park entrance on left. Paramount Ranch: Ventura Fwy (101) to Kanan Rd exit. South on Kanan 0.5 mile. Left on Cornell Way and veer to right. South 2.5 miles, entrance is on right side of the road. Peter Strauss Ranch is located at 30000 Mulholland Highway, Agoura Hills. Rancho Sierra Vista/Satwiwa: Ventura Fwy (101) to Lynn Rd exit. South on Lynn Rd 5.25 miles to Via Goleta. Park entrance is on the left at Via Goleta. Continue all the way to a parking lot where the road ends. To get to the Satwiwa Native American Indian Culture Center, walk 0.3 mile up gravel road from the parking area to brown wooden building. Wendy Trailhead: Ventura Fwy (101) to Wendy Dr. exit. South on Wendy Dr to dirt pullout at intersection with Potrero Rd. Santa Monica Mountains Interagency Visitor Center at King Gillette Ranch: From Ventura Fwy (101): Exit Las Virgenes Rd. Go 3 miles south on Las Virgenes Rd to Mulholland Hwy intersection (traffic light). Turn left on Mulholland Hwy. Go 0.1 mile and turn right into entrance of King Gillette Ranch. The visitor center is the first building on your right. 26867 Mulholland Highway, Calabasas. The 23rd Annual Camarillo Hospice Spring Garden Tour is planned for Sunday, May 5, 2019 from noon to 4 PM. Now in its 23rd year, the tour blends a variety of elements to create a truly delightful afternoon of fun and friendship. In addition to five amazing gardens, the tour features art exhibits and demonstrations, a delightful garden-themed boutique, enticing raffle, live music and delicious refreshments. More information and tickets ($25) at lmvna.org/gardentour/about.